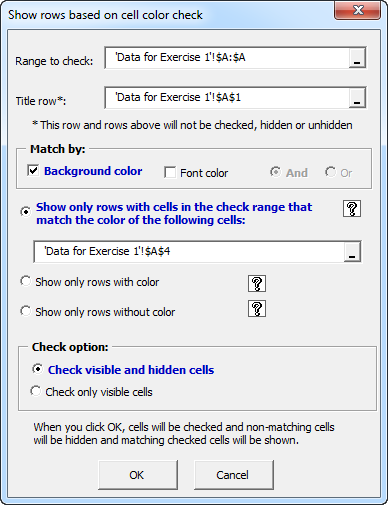 The Colored Cells Sorter add-in for Microsoft® Excel® allows one to sort rows based on color. It is compatible with Microsoft Excel 2007 to 2019 and Office 365. 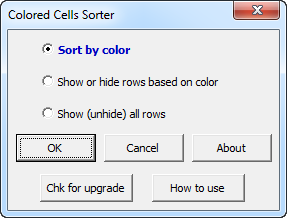 The Colored Cell Sorter allows you to sort the colored cells so that they are at the top or at the bottom. To redisplay the hidden rows, just use the third option on the main dialog, which redisplays hidden rows.